At the end of every year I like to reflect on all my favorite posts in the three categories of fashion, crafts, and travel. I've already shown you my favorite outfits of the year HERE, and today I'd like to share my favorite crafting projects of 2016. I will be the first to admit that I did not spend a whole lot of time in my craft room this year. One reason is that we had a glorious early spring and a long, warm fall, so I used those great weather opportunities to rejuvenate my overgrown gardens. I was quite pleased with my progress and I'm beginning to see some hope of getting my yard back to it's original glorious state again. 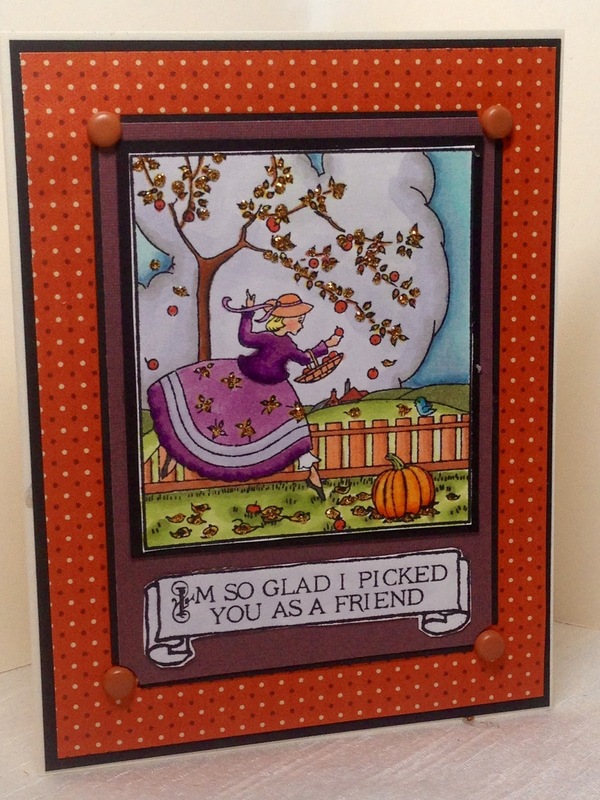 Another reason I didn't spend much time in my craft room was because I quit doing a card ministry so I did not need to make as many cards this year. I also made the change from paper scrapbooks to digital ones. Here are the highlights of this past year's home and crafting projects. With January being an indoor month, I actually completed a lot of crafting projects. It was hard to choose just one project for this month, but in the end I chose my "How to Make a Swag in Minutes" post. 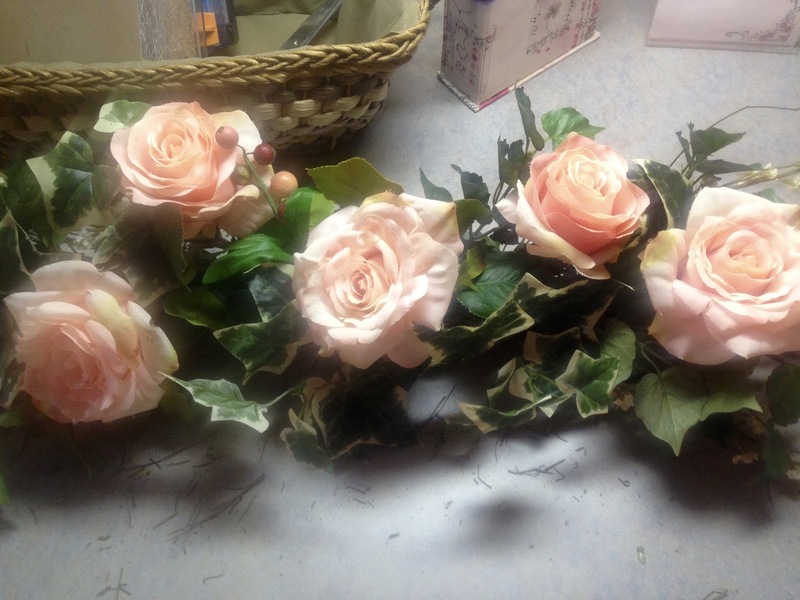 I really liked this project because other than the twig base, I was able to use products I already owned and I didn't have to spend much money on it. It also took hardly any time at all to put together. 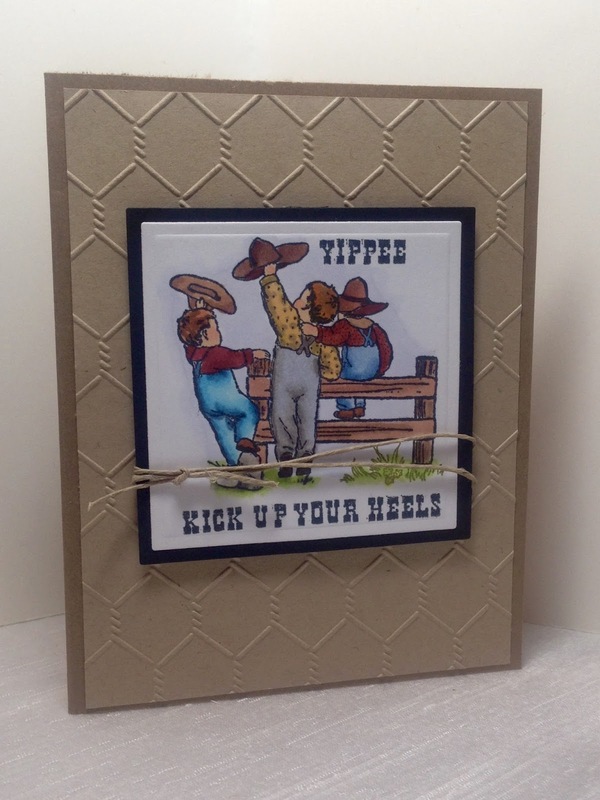 In February, I made this cute little country boy card. You can see that post HERE. Easter came early in 2016, (so happy it's back in April, as it should be, for 2017!) 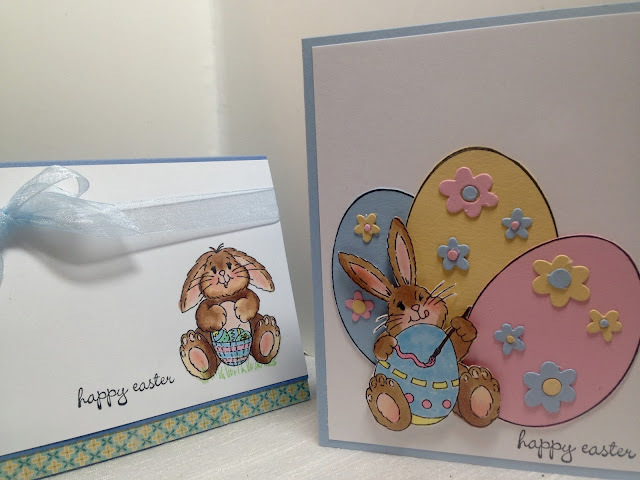 and my favorite crafting projects were these Easter cards I made for my children. The original post is HERE. April brought a special photography project I worked on with my daughter. I spent two weeks with her in Florida and I took a lot of fun pictures of her on the beach and other beautiful locations. You can see more photographs of Ashley on this post HERE. May was a happy month because my new beauty room that I worked most of the winter on was complete. I did many hand-made projects for this room, but one of my favorites was when I made two king size pillow shams out of a vintage chenille bedspread. I loved the way it turned out, and that it didn't cost me a dime! You can see that post HERE. By June, all the crafting and sewing projects for my new beauty room were complete and I was able to show it off. You can see the big reveal HERE. July brought a lot of computer problems so I wasn't able to post much. I also spent a lot of time in my garden since I did not have a computer, so my pick for this month would be a garden post. 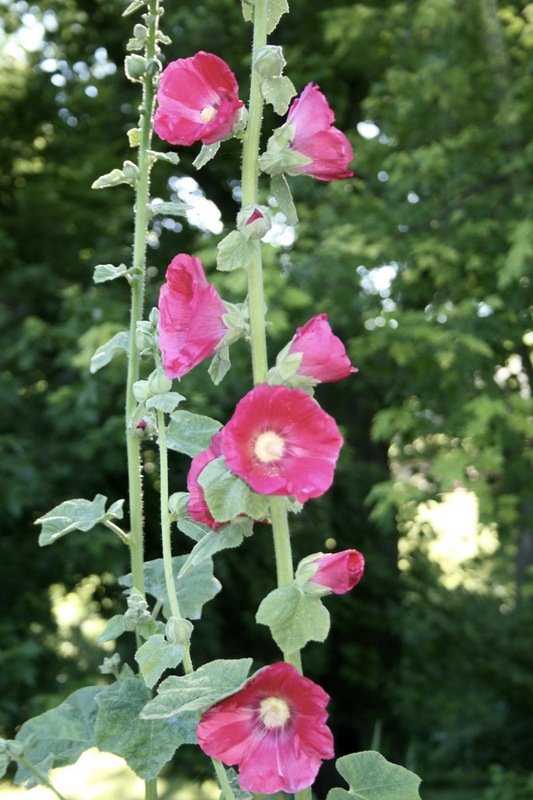 You can catch a glimpse of my midsummer garden HERE. 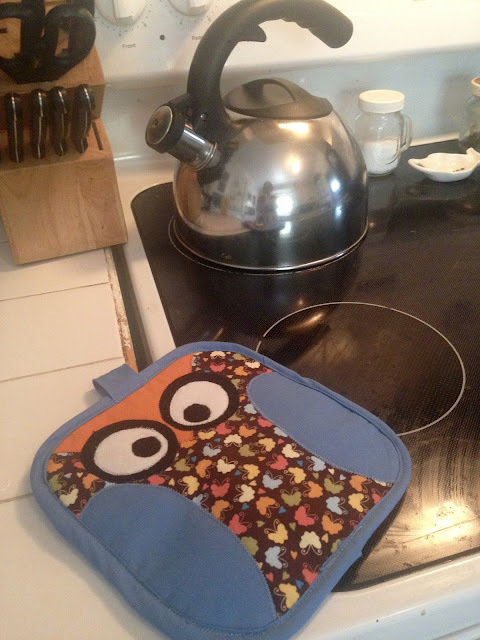 In August I decided to try putting some of my leftover fabric scraps to use and I made this cute little owl pot holder. You can get instructions HERE. 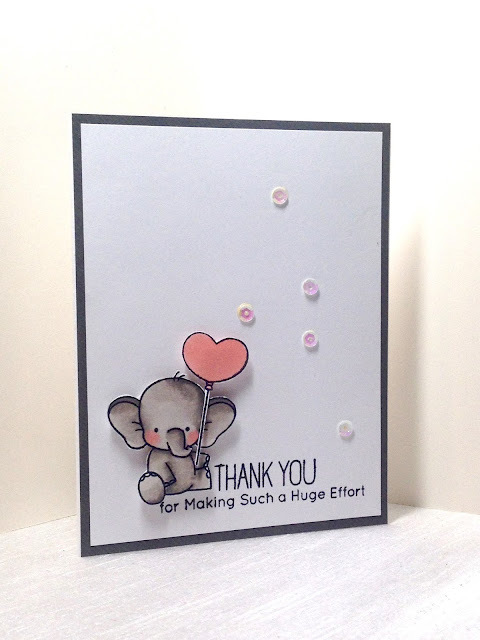 In September I made this cute thank you card for a good Samaritan. You can read that story HERE. 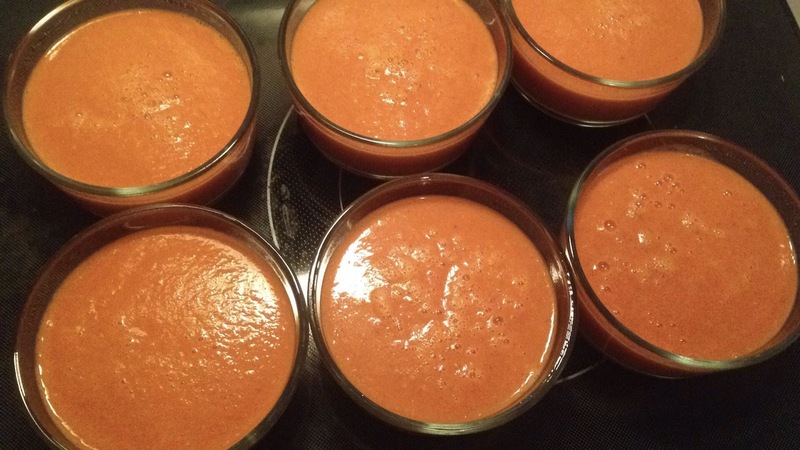 In the fall I ended up with more garden tomatoes than I knew what to do with, so I hunted the web for recipes. My favorite recipe of all was this home-made tomato soup, but I also liked the Pasta Pomodoro I made in this post as well. Get the recipes HERE. In the fall I made Halloween cards for my children (see that post HERE), and also this birthday card for my dear old friends. You can see the original post HERE. In December I didn't do any home or crafting posts other than this Winter Garden post HERE. I was too busy doing Christmas stuff...you know, shopping, decorating, cooking, having fun with family. But I did want to show you how I wrapped my Christmas presents this year. I used red and white snowflake paper, and I wrapped each present with a big white bow from ribbon left over from my daughter's wedding six years ago. Then I hand made a snowflake and tags using paper-crafting dies. And that is my year of home and crafting projects for 2016. And you know what, I'm really glad I took the time to write this post. I did a lot more crafting than I thought I did...I just crafted in different ways other than just paper-crafts. My beauty room took up most of my crafting time this year, along with my garden. I'm looking forward to seeing what 2017 brings to my creative side. I know I have a LOT of sewing projects I need to complete! You completed some amazing projects last year! 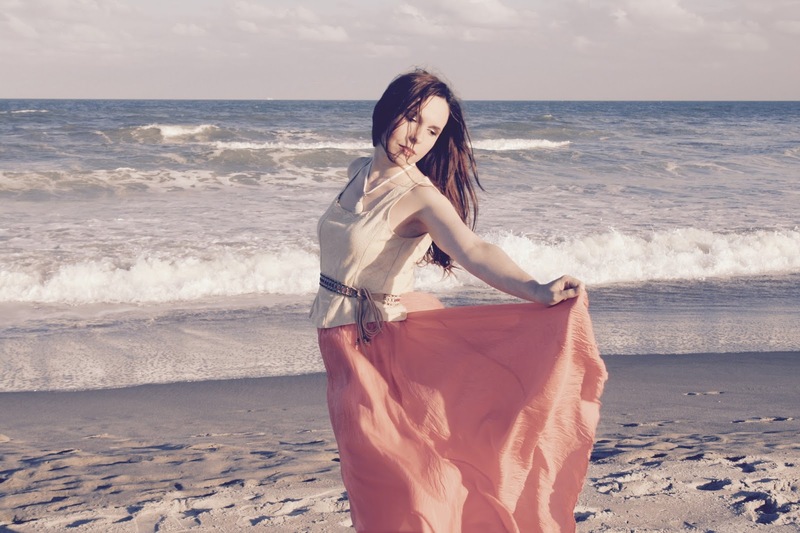 Beautiful crafts and loving the photo shoot you did with your daughter! Love your beauty room. Was it a bedroom before its face lift? 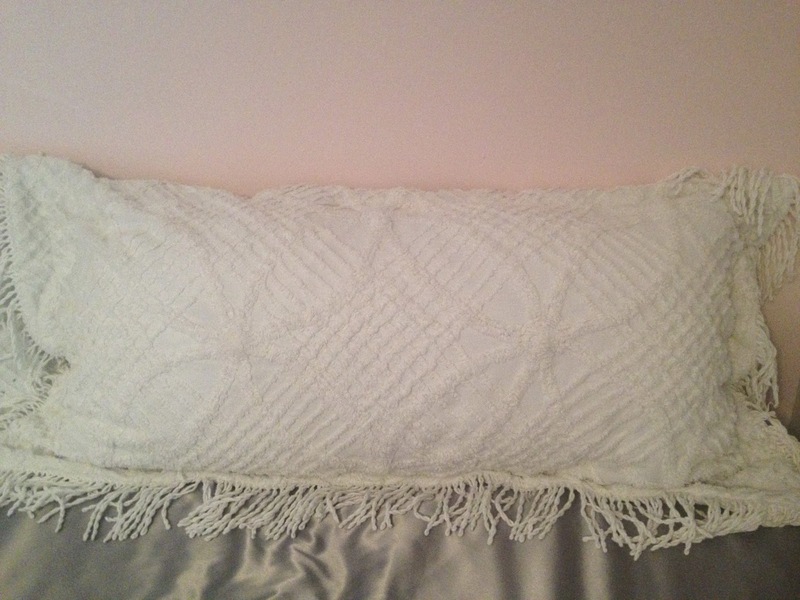 The chenille pillows made from the spread are adorable. My favorite project of all. Thanks Leslie. Yes, it was actually my son's bedroom. Quite a transformation going from a boy's room to a girl's room! Amy...the cards you made are so lovely. Do you come up with the ideas yourself, or do you have a pattern? I used to make more cards, but between my knitting and blogging, I just haven't taken the time to start up again since moving. I'm not great at designing them, but I can copy someone's ideas just fine! !